One of my favorite acresses, and a truly wonderful lady, she’s turning 92 today! A red letter day, too, because it’s Michelle Obama’s 50th! Another fab lady who’s aging gracefully, and has made quite an impact during her tenure as First Lady! 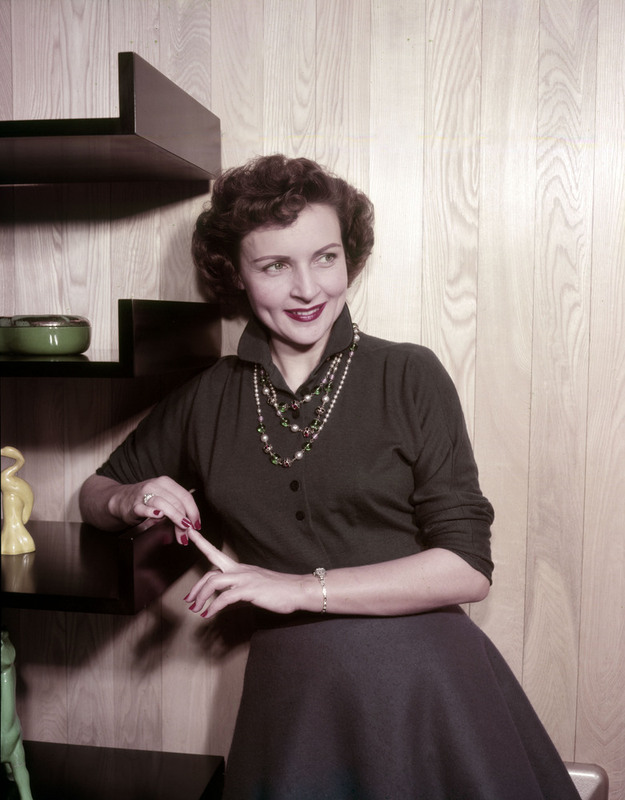 As amazing as our current FLOTUS is, however, she is no Betty White! Gorgeous, talented, sweet and funny! This lady has it all! 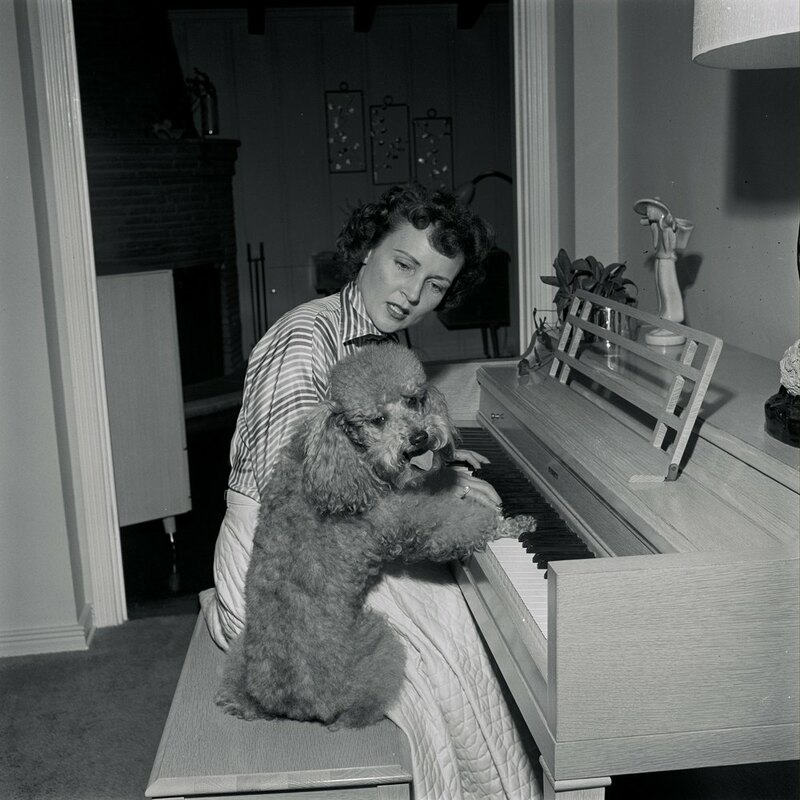 She started on the radio in the 1930s, and then proceeded to charm television audiences for decades! 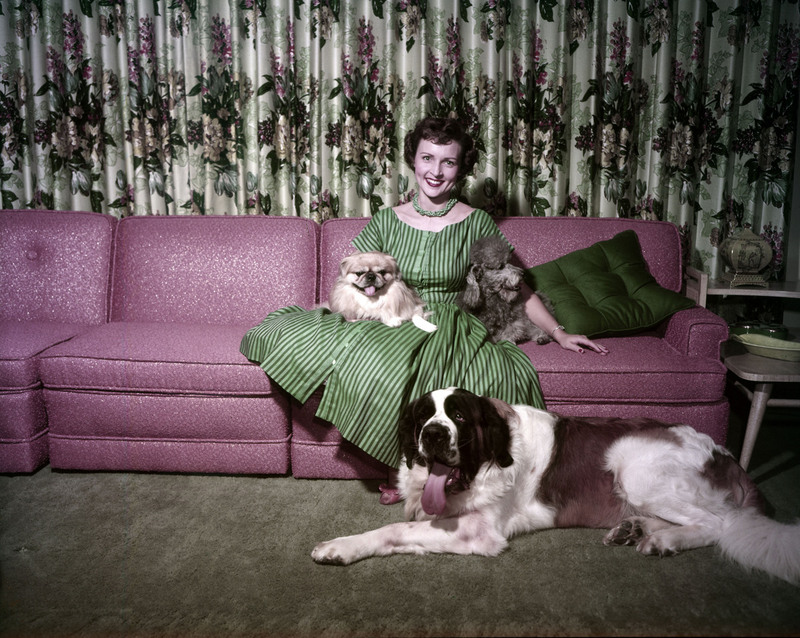 Her love of animals, and always perky, charming, slightly naughty attitude have endeared her into the hearts of the American public. 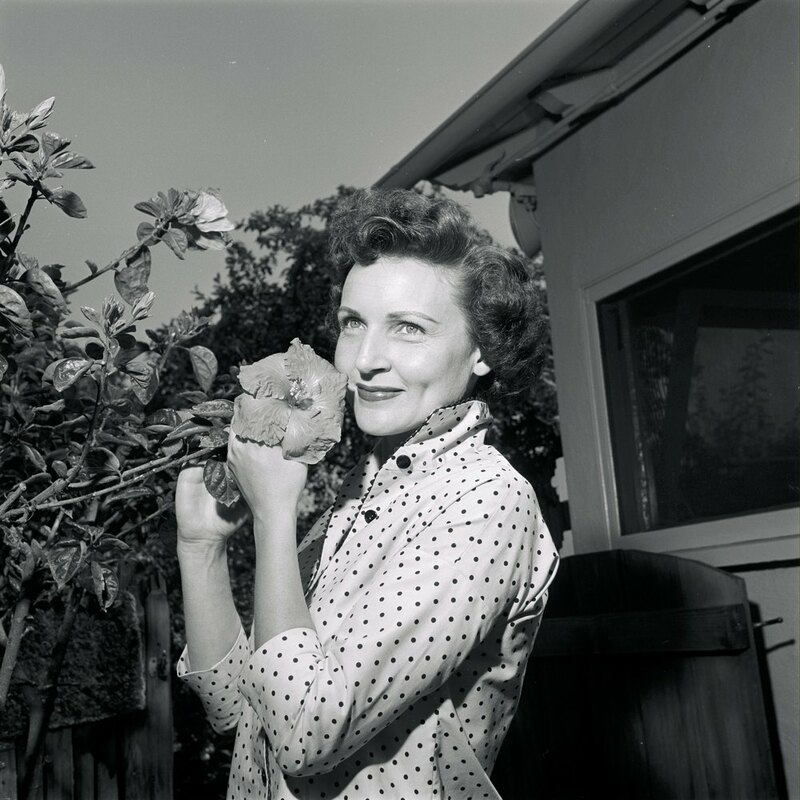 The first woman to have her own tv show and to win an emmy, plus she’s been awarded (among the many others) the Screen Actors Guild Life Acheivement Award! So sporty! 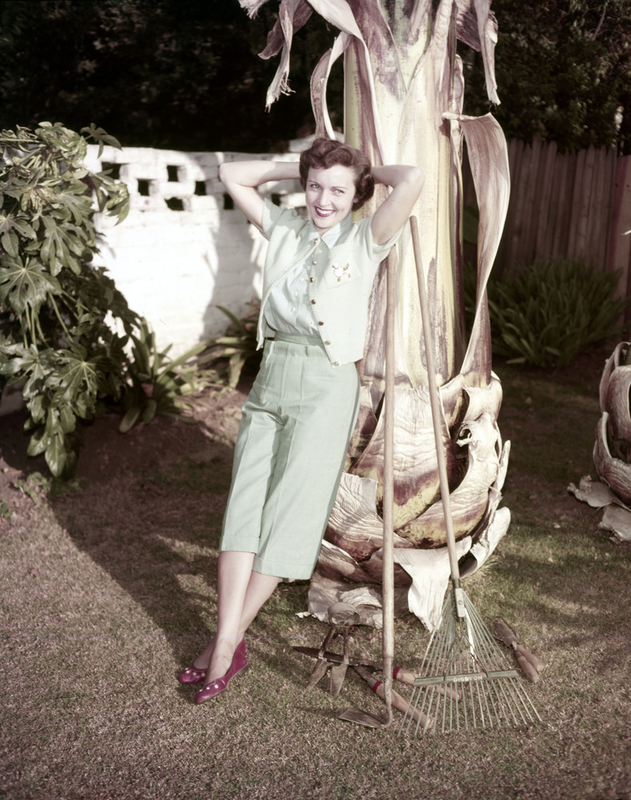 Betty was rocking the monochrome and contrasting shoe look since the ’50s! OMG, y’all. Seriously??? She’s SO CUTE! I’m absolutely certain no one else has ever taken a prettier picture with a flower. I also adore her polka dot blouse! Look at that dimple!!! She’s literally the most adorable person ever. LOVE the dress, the mod sofa, the everything! The settings fabulous, and she really was on top of tv. Her mildly-psychotic character, Sue Ann Nivens on The Mary Tyler Moore Show was a true original! 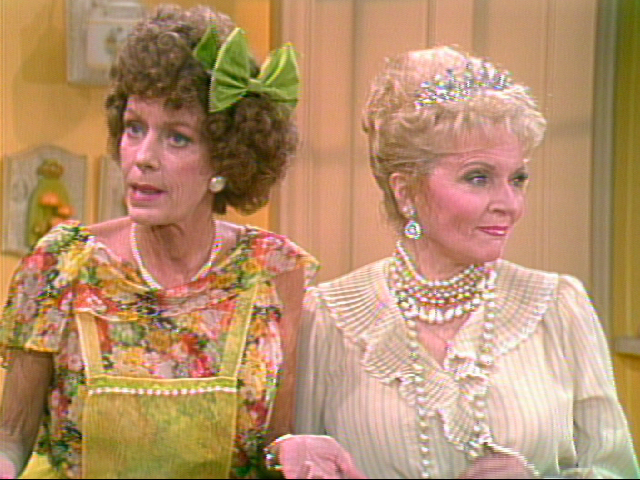 She even did guest appearances on Mama’s Family! 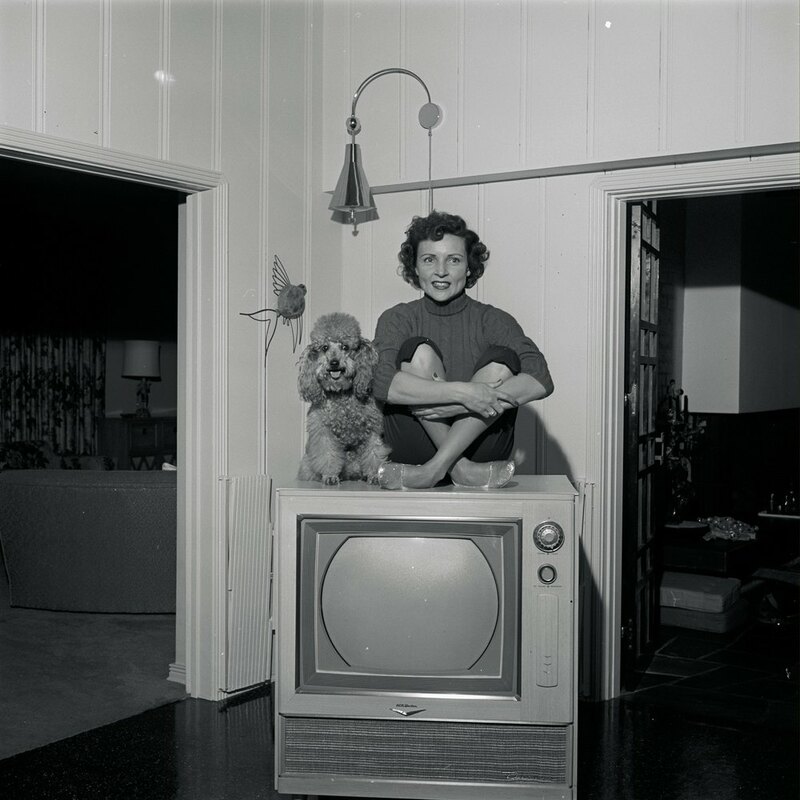 Her start was really on the early TV game show circuit, where she met her late husband, Allen Ludden. The Queen of Game Shows! What a woman! Obvs, I am a huge fan of The Golden Girls, and remain totally obsessed with all four fabulous ladies! Betty, as the last surviving member of this illustrious group, is definitely holding her own! She’s still on tv, was the oldest host of SNL, stars on both Hot in Cleveland, and the hilarious Off Their Rockers. 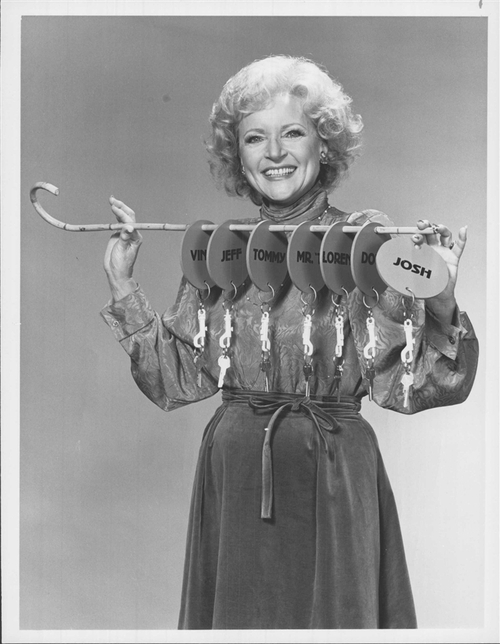 Rose Nylund was so silly, sweet, nutty, and delightful! I could write about Betty forever, but since I’m going to see Elvis Lives tonight, this will have to do for the moment! Enjoy reading about this amazing lady, and being inspired this weekend by her many accomplishments and gorgeous/fantastic style! 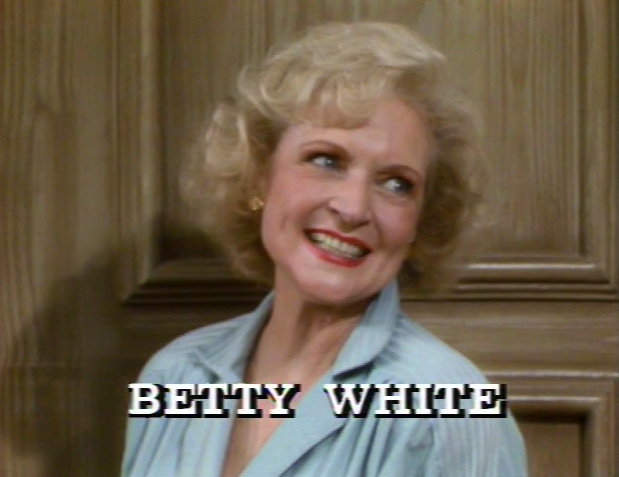 Are you a Betty White fan? What’s your favorite character?? 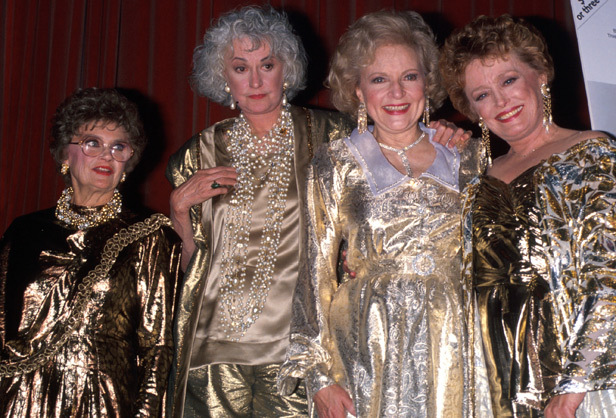 Who’s your favorite Golden Girl? Previous Post Random Fun Wednesday – Hats and Art! 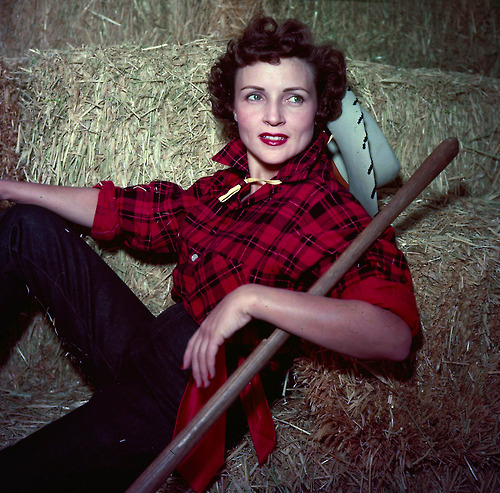 She’s so cool, I bet Betty White still gets her period. Is that the measurement of cool?? ?